The global technology market is one of the fastest growing hubs in the world. We are sitting on the cusp of the next digital revolution. The technology is replacing industrialization as the driving force of productivity and change in the world. The companies that are revolving around latest technologies may be the only companies that will survive this fundamental shift. In today’s scenario, the companies must accept the technology as the basis to keep them at competitive edge. The organizations who will embrace technology to grow are going to survive the fierce competition in the market. Still, they must consider the following implications to their businesses. – Understand opportunities within the industry. – Know the candidates who are best suited to lead. We know the pressure that you are under to find the great leaders who fit in your organizations and make it stand out from your competitors. We offer the most suited technology executive search approach, innovative science and analytics and deep knowledge of your industry. We help you to make the best possible decision for your long term commitments. Attracting top talent can be time-consuming, costly and complex for your business. We help you to select the best match with our search knowledge and analytics that can simplify and accelerate your search while minimizing risk. With our innovative approach, we select the right candidate with right qualifications, values, skills and compensation. 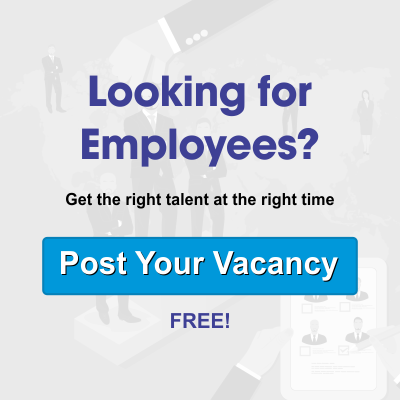 We use proprietary tools including executive snapshot and others to ensure selecting the right candidate. Talent is the only factor that distinguishes the best from the good candidates. The technology executive recruiters at Alliance recruitment agency have a breadth of expertise that is unmatched in the HR industry. Our clients range from multinational companies to small and medium enterprises and startups who want to include some of the best technology professionals in the world today. They chose us because they know we can continuously deliver the very best talent solutions. We assist our clients to address the unique technological challenges with strategic services, successful planning and talent management strategies. Why you should select Alliance recruitment agency? Alliance recruitment agency is a technology focused executive search firm, specialized in exploring top talents in your industry. We help to find talent technology executive across the technology, healthcare, private equity, telecommunications and other industries. We mobilize people into significant drivers of business performance and enterprise value. Our technology practice works together across the business lines and geographical areas to provide the client with seamless local service combined with the depth and vision of a global firm. We have a solid team who has extensive experience from the technology sector and some of our senior consultants have background as the leaders in software companies, consulting firms as well as in telecom operators. Our culture and organization structure give us the tools to get things done faster and better. We empower our people to think out of the box for making good decision. We create velocity with your company and move at your speed of development along with maintaining flexibility to your priorities. When you work with us, you can expect an engagement around you. We follow a client centric approach ensuring consistent delivery and high-quality service. We dig hard to understand your goals and development strategy. Collaborating with us will lead your business organization to an exacting process of best-in-class practices that achieves meaningful hiring results.